To read more about the CPD’s efforts and to view timely articles from fellow educators, please check out the Commission’s Blog more. If you’d like to become a blog poster, email Bill Sullivan, mailto:bsullivan@suffieldacademy.org Contribute your best ideas, websites, etc. to the blog so that it will become a true collaborative working environment for all CAIS educators. Thanks and we look forward to reading about and learning from your projects! Come share and learn best practices for effective Project-Based Learning investigations, specific assessments for the #PBL journey, presentation skills, etc. Dialogue about the historiography and complexity of this part of Connecticut’s history, which will further demonstrate the imperative for us to do more local history to create collectively an authentic history of nineteenth century Connecticut. Appreciate Place-Based Learning and Service-Learning elements for your local communities as well as the benefits of collaborating with other CAIS students and teachers. 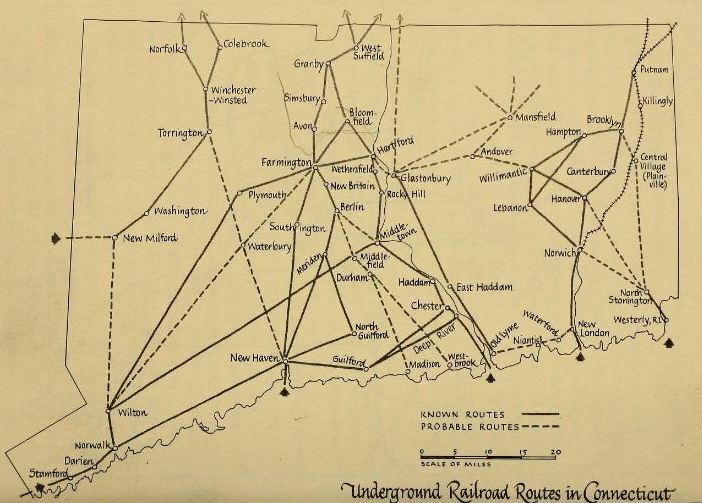 Join CAIS learners (teachers and students) in this Project-Based Learning investigation of Connecticut’s complex history of the Underground Railroad. While teachers will be collaborating and sharing best practices for effective project-based learning environments (rubrics, assessments, etc), students will be “doing” real history, networking with local historical societies, and publishing their findings (as well as making primary source documents digital for our blog as well as their local historical society) on our central blog. Timeline for programs: October 29th convene history teachers and librarians; January program at the Connecticut Historical Society to experience primary source documents and have students share best practices for research and early results and breakthroughs. February program for students to share. March/April students present in their own community and share their learning steps (and ideally every presentation might have a CAIS colleague in the audience). Late April-May CAIS will sponsor a program at the State House for the “all-star” presentations. When students research society members in their region, they will make meaningful connections to 19th century UGRR history; they will likely confirm established UGRR history and more importantly uncover new leads! Students should also and we can collaborate on creating a larger and more complex history of this important institution, which was also a network for the Underground Railroad Network in Connecticut. What if I don’t know anything about Project-Based Learning? We will collaborate and co-author our findings on a central blog, which will publish student work and create a forum for questions and suggestions. We will also have CAIS programs from December to April to help with the process of historical research as well as rubrics, assessments, and activities for Project-Based Learning environments. Why is this important? There is so much original history for our students “to do” for creating a greater understanding of the Underground Railroad’s role in Connecticut history. Most importantly, students will be unpacking 19th century Connecticut’s complex role during this turbulent time period; while Connecticut can proudly boast Prudence Crandall’s courage, we also have to keep in mind that it was her neighbors who terrorized her, her family, and her school for the radical idea to education young African-American women. Now we should have our students delve deeply into their local history to write and share a more sophisticated history of 19th century Connecticut. PBL: we will provide rubrics and models for PBL assessments for teachers new to this student-centered approach. The fun potential will be for teachers to share their models that complement student learning on the central blog. Intangible take-away: I have observed over the years how that this type of PBL learning where students delve into local history fosters a mature sense of place in students. Your students will develop in several dimensions when they learn new things about the history of their campus and community; seeing their everyday environment in a whole new light sows the seeds of preservation and the appreciation of their place. What could be interesting for us as CAIS educators will be to try to find ways for the students to share and explain how their findings have opened these new windows for them as community members. Here’s the link to the first Chart Oak Newspaper, 1838. Do you know any of the names listed from your area? Charter.Oak.Vol.1.